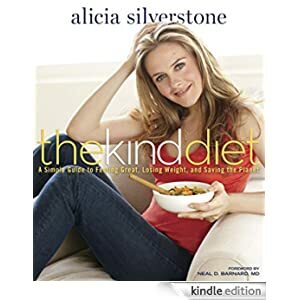 In The Kind Diet, actress, activist, and committed conservationist Alicia Silverstone shares the insights that encouraged her to swear off meat and dairy forever, and outlines the spectacular benefits of adopting a plant-based diet, from effortless weight loss to clear skin, off-the-chart energy, and smooth digestion. She explains how meat, fish, milk, and cheese–the very foods we’ve been taught to regard as the cornerstone of good nutrition–are actually the culprits behind escalating rates of disease and the cause of dire, potentially permanent damage to our ecology. Whether your goal is to drop a few pounds, boost your energy and metabolism, or simply save the world, Alicia provides the encouragement, the information, and the tools you need to make the transition to a plant-based diet deliciously empowering. Buy this book for $1.99 today.